Compress videos in 1000+ formats for email without losing any quality. Reduce file size by changing bit rate, resolution, format, and other parameters. Support batch compression and conversion with real-time preview. Versatile toolbox combines DVD Burner, Screen Recorder, Fix Video Metadata, Disc Burner, etc. "Can I compress a video file for email?" Videos being large in size have issues on sending and sharing over email as most of the email systems allow limited file size attachment. The best solution in this situation is to compress video for email. There are a number of video compressor tools available that allow shrinking your file size so that they can be shared with your dear ones over mails quickly and easily. In the following part of the article, we discuss the best ways on how to compress a video for email. Scratching your head to find a doable program to compress video for email attachment? You're not alone. Since most email systems only allow for a limited file sending, you can't include a large video successfully even after creating a zip file for it. So how to solve this problem? In fact, you can use a video compressor for email like Wondershare UniConverter (originally Wondershare Video Converter Ultimate). 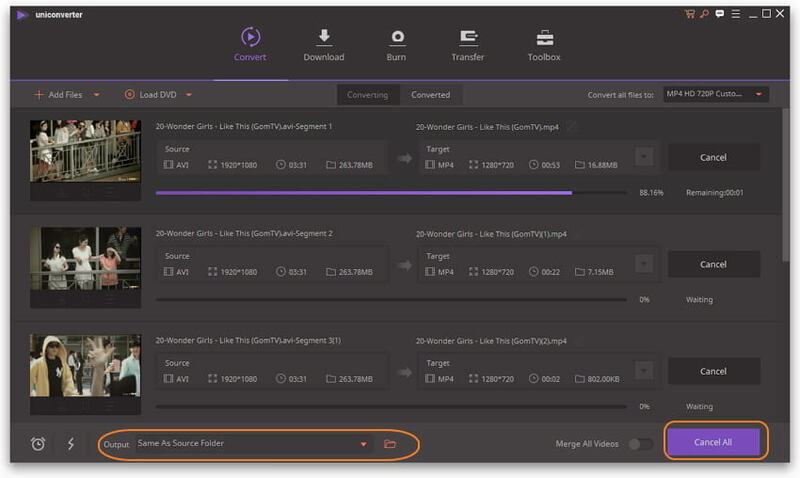 With it, you can compress a large video file efficiently in a few steps. No hassle. Below I'll explain how to do this in detail. Easily compress different kinds of videos including MOV, MP4, AVI, WMV and other 1000+ video formats. Easily change bit rate, resolution, file size and frame rate to compress video for email. Crop, merge, trim, rotate and split within the video compressor. Compress videos to send via email in batch. Transfer compressed videos from PC/Mac to iPhone/Android devices easily via a USB cable. Versatile toolbox includes fixing video metadata, GIF maker, casting video to TV, CD/DVD burner, and screen recorder. 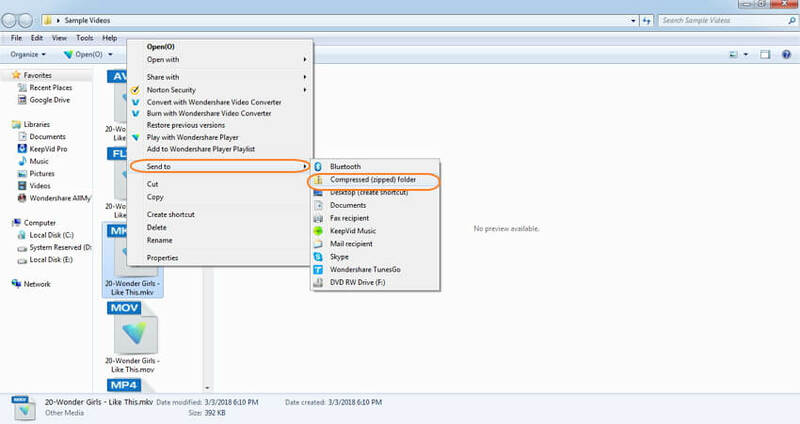 Step 1 Add your video files to the video reducer. Download, install and launch Wondershare UniConverter (originally Wondershare Video Converter Ultimate). Click the Add Files button to locate your source videos. Also, you can drag and drop files directly to the primary window. This video size reducer supports compressing multiple videos for email, so you can import several files together by holding down Ctrl button on the keyboard. When all files displayed as thumbnails in the item tray, you can arrange the file order, change output file names, etc. Step 2 Make "Small Size" settings in the output window. Click on the inverted triangle beside Convert all files to: on the upper-right corner of the primary window and select a video format in the drop-down list as the output. If you want to compress MP4 for email, then you can choose MP4 as the output format. After you select an output format, click the Setting icon to access the Setting window. In the window that appears, tick the "Small Size" checkbox. Tips: If there's no format of any concern, you can convert your video to other popular formats like FLV, M4V, MP4 which usually renders smaller size file. You can also manually customize the parameters for bit rate, frame rate, resolution, codec in the Settings window to achieve any quality you want. When your setting is very lower parameters, it will create a much smaller size file, but also lower video quality. So bear this in mind and try multiple times to achieve the best effect based on accepted file size. Step 3 Start compressing videos to email. When you're satisfed with the result, just hit Convert All to activate video compression right away. This video compressor is highly efficient on compression, and you can check the percentage and remain on the progress bar. When compression process completed, you may click the Output icon at the bottom of the main interface to get the compressed files quickly, and then attach it in email to send to your friends very soon. 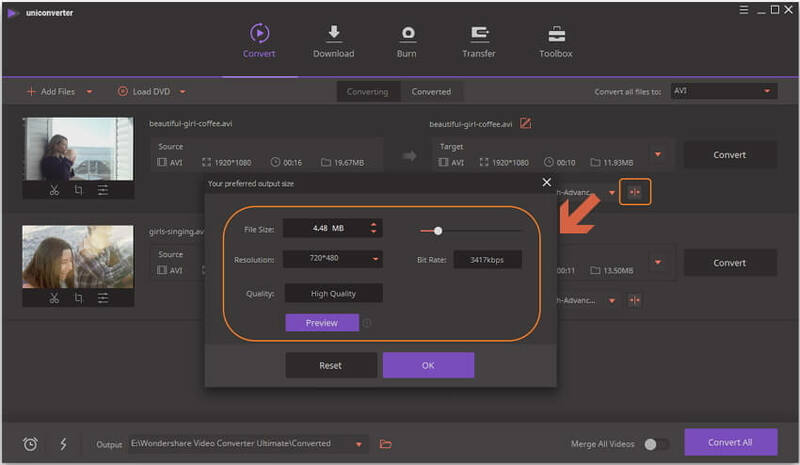 If you just want to compress a video to send with email, then you can choose a much easier way to compress video size separately with Wondershare Video Compressor. Go to the Toolbox section and choose Video Compress option, then follow the simple steps to reduce a video size much easier >>. Step 1: Go to Online UniConverter (https://www.media.io/video-compressor.html) website on your browser, and you'll see the main interface of it. Click on the + icon to select your video to compress. Step 2: Customize video resolution, file size, and format as you need, which can be chosen from the drop-down list. Step 3: After all settings are completed, click on the COMPRESS icon to start compressing videos online, you can save the compressed video to Dropbox or download it and send with email. On your Windows system, you can shrink the size of your video files by zipping video files. When you zip your files, you mainly stuff them into a container which is small and easy to move. Zipping files does not affect its video quality and thus it is the simplest and straightforward method of compressing video for email. Step 1: Right-click the video file(s) that you want to attach and sent through email. Choose Send to > Compressed (zipped) folder. Windows will zip your video file(s). Step 2: Open your email account, compose an email address and attach the zipped video file(s), and send the mail to your friends. If you are working on a Mac system and want to send your videos through email, you can compress video files by editing them through iMovie which can be purchased from the Apple store. In order to shrink your Mac videos, you can edit them, shorten them or simply compress them that create a smaller version of the file. Step 1: Launch iMovie app on your Mac system. In the menu bar, click the downward –facing arrow and import the video that you want to share through the mail. Step 2: Open the video in iMovie. Step 3: Next, you need to select the portion of the video that wants to edit and for this, you need to drag the video strip. Step 4: Click File > Share > Email and select Small to reduce the file size. Step 5: Click Share that will open the reduced size video in the email screen. Step 6: Finally, enter recipients email ID and message to send the email. Step 7: You can also compress the video without editing or shortening it. For doing so, you can control-click on the icon of the video and then select Compress from the contextual menu. A smaller version of the video will be created. More and more people these days rely on cloud services to store as well as share their images, videos, text file, and all other data. Using Google Drive, Dropbox, and other cloud services are probably the smoothest methods of sending your videos without affecting their quality. Above all, cloud services allow you to access your files anytime, anywhere without any restriction of the system. You can only share the link to your friends by email. 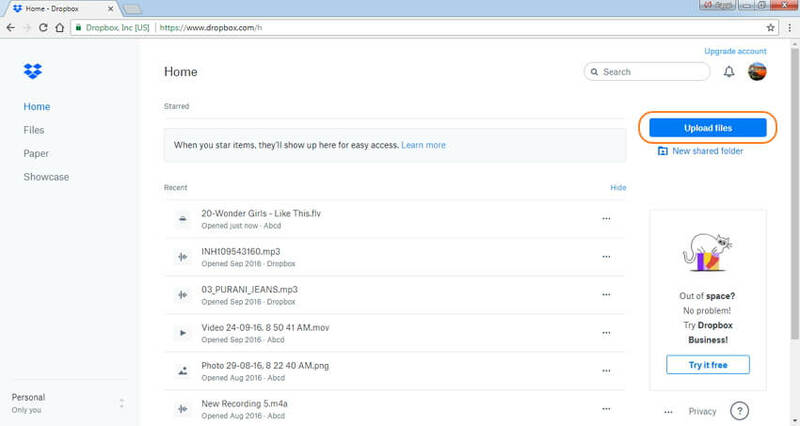 Step 1: Open Dropbox app on your PC and click Upload files to browse and add the video that you want to share. Step 2: Select the folder to which you wish to add the uploaded video. (If needed, you can also create a new folder). 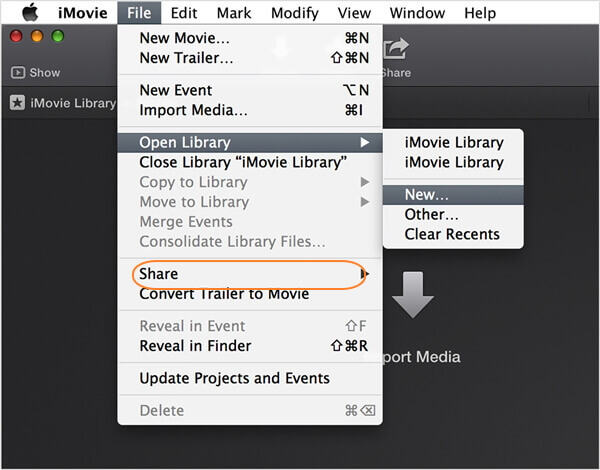 Step 3: Allow access to the shared folder to all people with whom you want to share the videos. And then you can send the link to your friends by email. Step 1: Open Google Drive application on your system. Step 2: On the top-left corner, click New and select File Upload. Browse to add the movie or video file that you want to share. Step 3: From the Recent tab select and right click the uploaded file. Step 4: Click Share to open a new window where you need to enter the email address of the person with whom you wish to share the video. 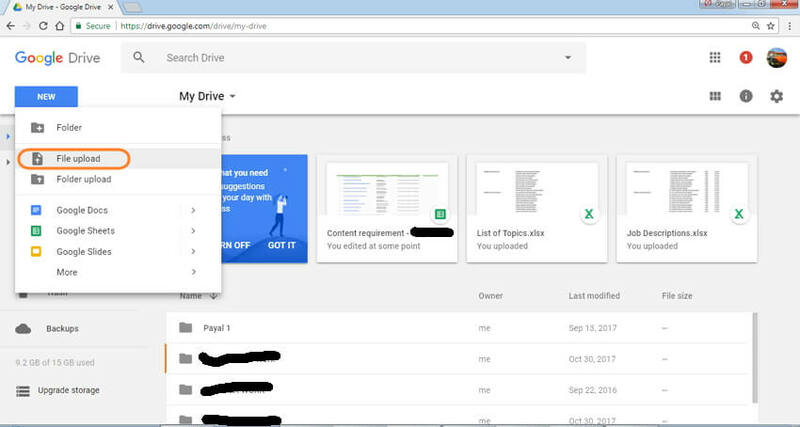 Both Google Drive and Dropbox allow creating a file sharing link which you can copy paste and send them through email which will share the videos. The present-day smartphone comes with an excellent camera that is capable of recording high-quality videos. Watching these videos on your device is easy, but when it comes to sharing them with your friends and family, the process is not only time-consuming but also takes a lot of bandwidth, owing to large file size. So you can compress a MP4 video file for email and share them using an Android app. There are a number of these paid and free apps available and one decent option on the list is Video Converter Android. The app is free is to use and facilitates video compression while retaining quality. Step 1: Download and open Video Converter Android app on your smartphone from the link: https://play.google.com/store/apps/details?id=roman10.media.converter. Step 2: Import the video that you want to shrink to the app interface and hit the Convert button at the bottom. Step 3: Select profile option as Manual. 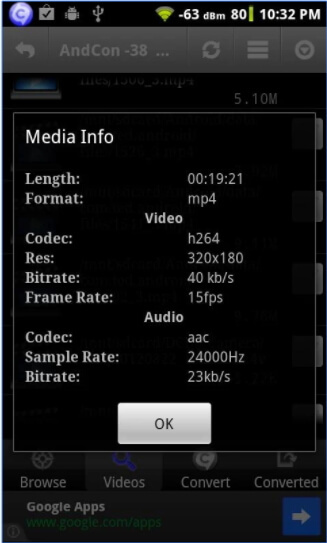 Next, select the video settings as Codec –MPEG4, FPS 23.98, Resolution – 176 X 144, and bit rate as the original. You can also enter other file parameters that may lead to shrinking of the file size. Step 4: Video Converter Android will reduce the file size without affecting its quality and then the file can be conveniently shared through email. With excellent camera quality of iPhone and iPad, you cannot restrain yourself from capturing all your special moments in form of videos. So if you have some special videos on your device that you want to share with your loved ones, you would first need to compress a MOV file for email. The large size videos coupled with limited file size support by email systems brings in the need for compression apps. In addition to sharing, a slim video also saves storage space on your device. One decent iOS app to help you shrink your videos is Video Slimmer. Using the app, you can slim down your videos without worrying about video quality. Step 1: Download and open Video Slimmer app on your iOS device from http://www.videoslimmerapp.com/. Step 2: Select the More option on the app to choose the resolution and the dimension to make your video smaller. Step 3: Click on the + button to load the video into the app that you want to shrink. Step 4: Choose Slim Now option. The app will make your selected video smaller with respect to the dimension and resolution you mentioned. After reading the above solutions, you'll never wonder how to condense a video for email now, right? 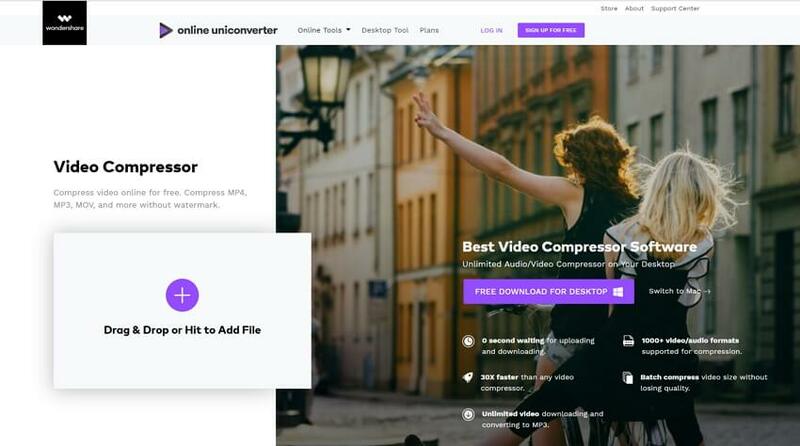 But if you want to choose a better and economic compressor, you'd better try Wondershare UniConverter (originally Wondershare Video Converter Ultimate) which not only provides video reducer but also video downloader, editor and more.